The weather was well behaved during the whole weekend and we were therefore lucky to get a parking spot at the end of the Cape Solander drive in the Botany Bay national park in Kurnell. 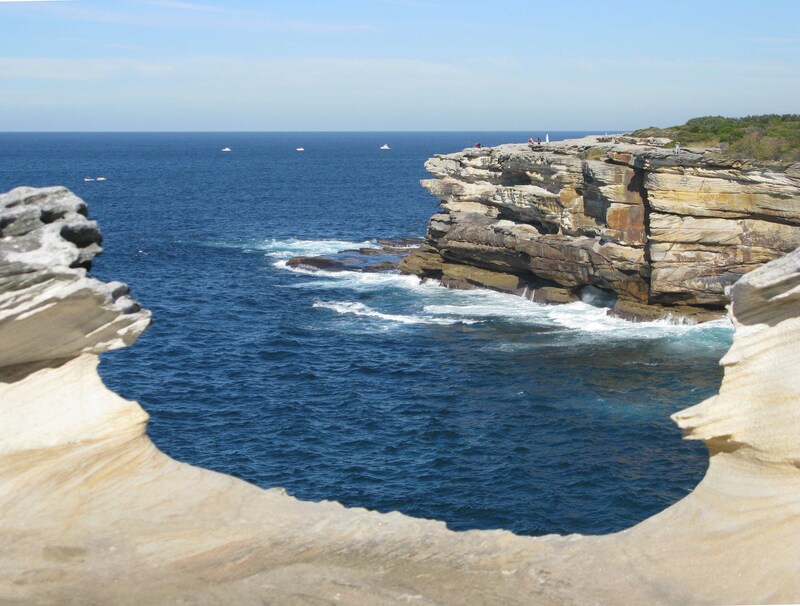 The perfect whale watching day – absolutely flat sea, excellent weather. The rock platforms close to the parking lot and around the whale watching station were highly populated. Long forgotten binoculars had been taken out of the drawers and were brought along after tapping off the dust. Camping chairs and blankets, pick nick… everyone seemed to be fully equipped and eager to spot humpback whales. The humpback whales travel north in the time from late May to roughly August, with the peak season being just about now. We walked a kilometer or two away from the main crowd and kept out eyes on the surface of the ocean. The easiest way to see whales on this day was actually to scan the water close to the numerous yachts on private whale watching trips. 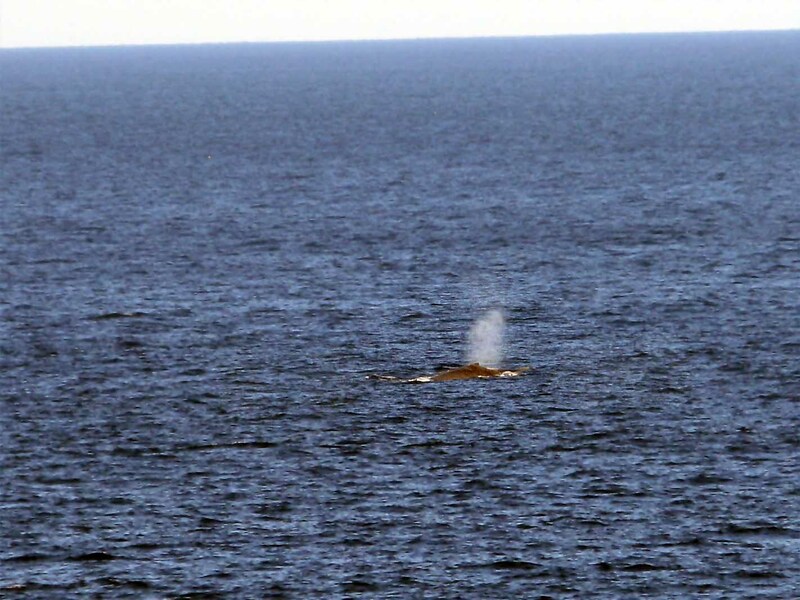 It was well possible to spot the spouts and see gigantic dark shapes move when the whales were breathing at the surface. With my small binoculars we could clearly see the backs and tails appear and disappear again. Very impressive, especially because the giants can be seen from the coast. I took a few pictures, but this was just to prove that we have seen whales indeed. The rest of the time I was enjoying the moment. This entry was posted on June 30, 2008 at 7:38 pm and is filed under Nature. You can follow any responses to this entry through the RSS 2.0 feed. You can leave a response, or trackback from your own site.